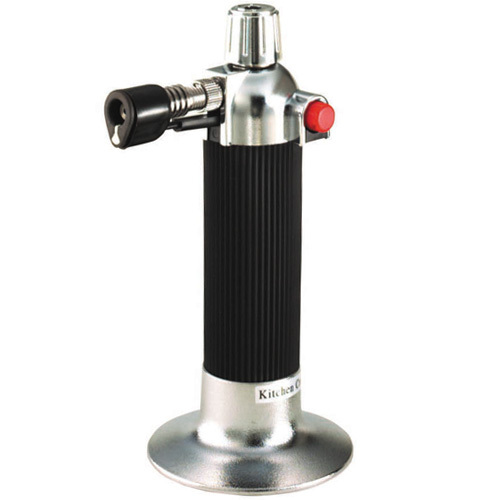 Kitchen Craft Refillable Cooks Blow Torch with instant piezo trigger ignition and chrome fittings. 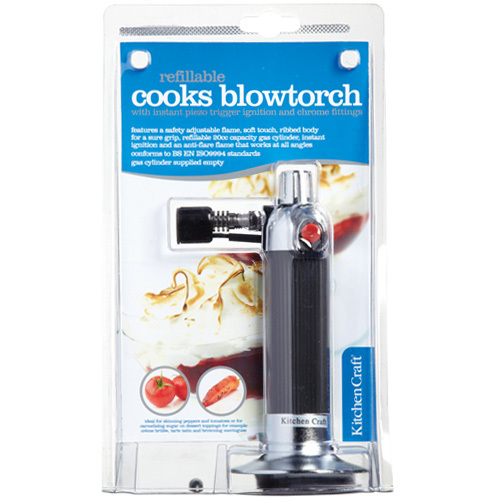 Ideal for skinning peppers and tomatoes or for caramelising sugar on dessert toppings. Great for Creme brulee, tarte tatin and browning meringues. Date First Available: Tuesday 06 November, 2012.